Say what you want about Facebook; but you can use it to keep abreast of new QRP gear. LNR Precision, makers of the wonderful ENDFEDZ antenna series is announcing the availability a new tranceiver - the FX-4, which was first announced at Dayton. According to their Website, it will be available soon for purchase, at around the $500 neighborhood. Transceiver size in inches. 4.10 length X 2.8 inches width X 1.5 inches in thickness. 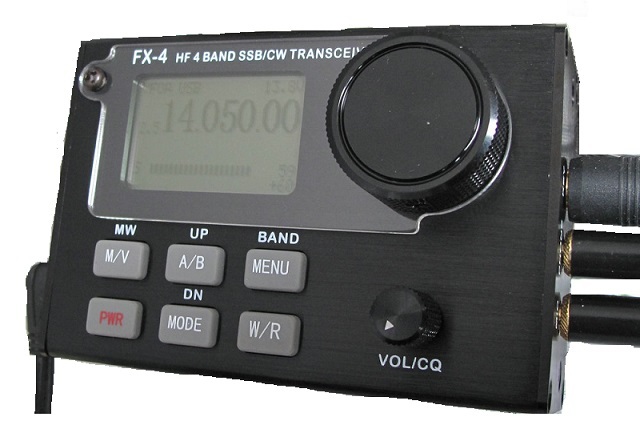 Weight of transceiver 12.8 oz. Keyer Iambic A & B adjustable speed from 5 to 40 wpm. DSP filtering 300Hz, 500Hz. 1.3Hz, 1.6Hz, 1.9Hz, 2.2Hz, and 2.5Hz. Today I pulled off a hat trick during my lunchtime QRP session. A triple play, a trifecta, a triple crown ..... three QSOs, one each on three different bands, in about 15 minutes. One on 20 Meters, one on 17 Meters, one on 15 Meters. A lot of band hopping! The first QSO was a domestic one, but was perhaps the contact that intrigued me the most of the three. On 20 Meters, I worked Mike AI8Z/8, who was on SOTA Summit W8M/UP-057. This is better known as Feldtmann Ridge on Isle Royale National Park. 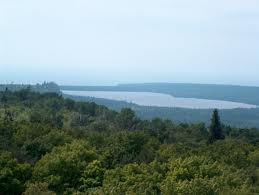 The park is technically part of Michigan's Upper Peninsula, but is actually an island in Lake Superior, very close to the Canadian shore. I did a Google search for images and have come away seeing that this is one very beautiful location. Looks like a perfect place for a QRP vacation. This is exactly the kind of QRP adventure that I dream of and salivate over. Some day, I'm going to go on one of these! I wonder if Ken WA8REI has ever been there? 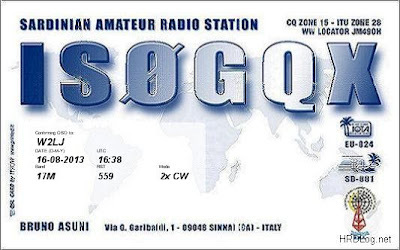 The next QSO happened on 15 Meters, which seemed to be open with a few signals today. I answered HC2SL, Alfredo's CQ from down in Guayaquil, Ecuador and received the standard DX "TU 599" exchange. He did get me first time, no fills; but I'm pretty darn sure I wasn't really 599. Alfredo really was 599 up here in New Jersey, however. His signal was really booming in. From there, it was a jump on over to 17 Meters, where I answered another CQ. This one was coming from Andy DM5MU, from Leipzig, Germany. Andy came back to me on my first call, also. Andy rewarded me with a 539 report, while I was able to send a 579 his way. The DX does not have to be 599+ in order to get a QSO. If you hear a DX station calling CQ, and they're not making your eardrums bleed, don't be afraid to throw your call sign out there, anyway. They might not hear you; but then again, they might. You're never going to get a feel of who you can work and who you can't if you only answer the loudest of the loud. Push the envelope - you will be rewarded many times over. I would have liked to have stayed on longer, but after working Andy, I felt a buzz from my cell phone. A text message indicating that I had to cut lunch short and go back inside to handle a mini-crisis. Oh well ..... how do these crises seem to know when the bands are hopping? On a "blog housecleaning" note, I have added one blog to the blogroll and have eliminated another. First off, welcome to Jim Smallwood N7RCS and his blog, "Low-power, low-profile QRP from the Pacific Northwest!" Looks like it's going to be a good one. Secondly, at the request of the blog owner, I have deleted the link to Smoke Curls by Jeff Davis KE9V. Jeff wrote me to let me know that he sold all his Amateur Radio gear and has retired from the hobby. 'Tis a pity, I will miss his word smithing - he is one very talented person. Propagation numbers baffle me sometimes. Yesterday, when the numbers looked so good, I thought I was going to end up getting skunked. I did end up working Oleg UR3IFD, in the Ukraine, and I also had a very brief, QSB busted QSO with Paul WA9PWP. But other than those two very brief contacts, it was pretty grim. There wasn't else much to be heard and my CQs on several bands went unanswered. Advance the clock 24 hours, to find the SSN is down to 35 and the SFI is only at 110. Not great numbers. But despite the numbers, I had a great outing. I started out on 17 Meters with a brief QSO with Ted LZ1ND, who was calling CQ. Ted was a good 599+ here in New Jersey, and I got a 549 in return. Not a bad report, and Ted got all my basic information, so I was definitely copy-able in Bulgaria. And it looks like Ted is quite comfortable behind the dial of a QRP rig himself. 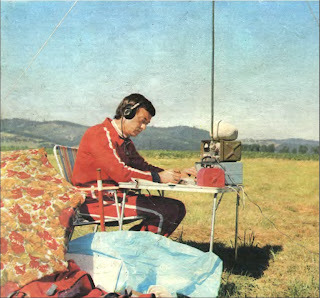 Here's an old photo I dug up of him on the Web, taken while he was participating in Bulgaria's HF QRP Field Day. After Ted, I switched on over to 20 Meters and called CQ. I was answered by Ron W5VYN, from Whitesboro, TX. Ron had a magnificent signal into New Jersey. The fact that he was using home brewed gear made it all the sweeter. Ron had asked me if he was generating any key clicks, and I was happy to be able to tell him that he had a perfect, solid and stable 9 in the "T" portion of RST. His home brew rig sounded just as good as any commercial rig out there. That was a nice QSO. That was followed up by a "quickie" QSO with Greg N4KGL. Greg, who's down in Florida, was using one of those new PAR ENDFEDZ Trail Friendly antennas, which was generating a nice 579 signal for him. It's always nice chatting with Greg, and I wish I could have stayed on longer. But as always, time flies when you're having fun, and it was time to break down and head on back to work. So it just goes to show .... you can have a great QRP day, even when the solar conditions say, "Maybe not". Even so, I had to laugh on the way home from work. As I was driving, I was listening to two Hams on a local 2 Meter repeater bemoan the current sunspot cycle. One was complaining about "How you just can't work any decent DX without at least a 500 Watt amplifier!". I almost lost it right there, I started chuckling so hard. Lots of QRPers, including N8ZYA, K3WWP, W2LJ and many, many others have log books that attest to the direct opposite! NJQRP Skeeter Hunt scores are in! The summary page of submitted scores is ready for viewing! To check out the spreadsheet, click here. The soapbox comments are going to take me a bit longer as there are so many! Hope to have those up by the end of the week. In addition to these, the top scorer for each state will be receive a Certificate of Achievement. You can see these stations are denoted in the comments column in the extreme right column of the spreadsheet. Thanks to all who participated! In addition to the 68 Skeeters who submitted log summaries, I also received 3 log summaries from Non-Skeeters who chose to operate. In fact, Non-Skeeter George K4EOR ended up being Top Score for Georgia! Participation was up from last year, log summary submissions were up from last year - this all bodes well for the NJQRP Skeeter Hunt for 2014! Hope to hear your Bzzzzzzzz next year! I saw this posted on QRP-L today and decided to share it here, for those of you who might not be subscribers. This was a post by Grayson Evans, KJ7UM/TA2ZGE. It describes his recent encounter with QRP. You can almost feel his excitement and joy from his post! Sorry, I have to admit that I'm not much of a QRPer. Not because I don't like it or not interested, it is just that I haven't had much luck at it. I have a hard enough time trying to make a contact with 100W out of my Kenwood something-or-other. Part of the problem (well, probably all of the problem) is my QTH. Very urban in the middle of Ankara, the capital city of 6 - 8 million. S7 background noise on 20 on a good nite. And my apartment is on the bottom floor of a 6 story concrete building surrounding on all sides by equally tall solid concrete buildings. I have tried all sorts of antennas out the window and in the small garden, but they all seem to work equally poorly. I currently have an end-fed "zepp" sort of thing strung between two street lights. It seems to work the best until a big truck takes it out. Anyway, I have two MFJ QRP rigs I bought second hand a few years ago. One is 20M CW and SSB, 5W, the other is 40M CW only, 5W. I did make a few contacts with them when I lived in the U.S., so at one time I know they worked. My family (wife and 11 year old son) have started doing some camping around Turkey (not a popular activity here). So I thought it would be a good idea to try some portable QRP operating in the forests. Never done it before. The first time a tried, I had all sorts of problems, nothing seemed to work. Back to drawing board. Last weekend I tried again, took more parts, two antennas (a new 20M dipole), two batteries, etc. tuner with SWR, dummy load, and a good supply of 807's (youngsters probably not familiar with "807s"). This time everything seemed to work, but I could only get 1 watt out of the MFJ 20M rig (SSB and CW). OK, 1.2 watts. Also the key input didn't work. I figured a no-go again. Also it was a contest weekend. No surprise, there is some sort of contest every weekend here. _____ "QSO party" (fill in the blank with any european or eastern european country…they are not QSO's, and not a party). I am not a contester but I have to admit they are good for testing antennas/rigs. BUT, I got a big shock (emotional kind)! First of course, zero background noise. Those little rigs have a nice receiver. I could even hear myself think with headphones on. Second (and this is the SHOCK), if the calling station was S5+, I could work em. EVERY TIME. I have no idea what contest I was working (the usual call sign, phony 5/9, and a sequence number), but I worked over 80 stations in a 2000 km radius over a 2-3 hr time. I haven't had time to look up all the screwy prefixes ("DX" to you is the norm here of course), but I recognized Romania, Central Russia, Slovenia, Poland, Germany, Spain, Portugal, netherlands, Denmark, Belgium, Slovakia, Slodowneya, etc. etc. AND, when I mentioned I was actually running 1 Watt, I got a few stations to give me a real signal report. and they were never less than S4. I got a few S8 and S9's. how could this be? I am impressed. This RF stuff is amazing. I gotta try this again! One of the nicest things about participating in the QRP Fox Hunts, is the people that you get to meet, get to know, and get to become friendly with. Some of the nicest folks on this blue marble that we call the Earth, participate in those Hunts. Early on, I noticed there was always one station in particular that would ALWAYS blow my ears out - whether I was serving as Fox, or even when I was hearing him in the pack as a fellow Hound. I would think to myself, "Just who is this N9NE guy? Where the heck is he and what's with that killer signal?!?" I also thought that Todd's signal was the loudest QRP signal I had ever heard!. Whenever Todd came on the air, I always felt like the guy in the radio control room from that episode of the Little Rascals - "The International Silver String Submarine Band". 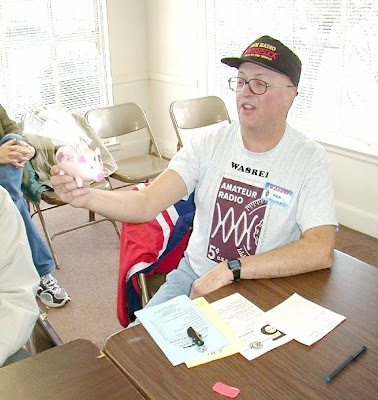 1) How did you first become interested in Amateur Radio? My father bought me a Knight Kit 'Ocean Hopper' regenerative receiver for Christmas in 1957. I had to assemble it. Little did he ever imagine what a gift that would turn out to be! I had a neighbor, W9DPN, who was a ham, and he helped me along and let me listen to his conversations.There was a W0 station who used to send MCW practice on 40M, and I used to copy him, along with W1AW. The code came naturally to me. Our little city of 3500 had an active ham radio club of almost 40 members, and in 1958, there were a number of us middle and high-schoolers who got our novice and conditional licenses. No internet then! My grandfather gave me his 1928 vibroplex 'bug' (he had been a telegrapher on the 'Soo Line RR', and I started using it immediately.) I never had a hand key until years later. 2) How long have you been licensed? March, 1958 as KN9LWV (55 years). 3) What drew you to QRP? A friend lent me one of the first Ten-Tec QRP rigs back around 1972 or so, and I took it to the lake cottage. I was amazed at the stations I could contact. BTW, when I first got my conditional in 1959, I contacted Houston, TX with my Heathkit VF-1 VFO! I imagine there were some harmonics involved. When Heathkit came out with its HW-8, I bought and assembled it and used it portable from a number of locations as well as on some Field Days back in the 1970s. This was before there was a QRP division in contests. For me, the challenge of QRP keeps me interested: QRO (except for DX on 160M) is just too easy! 4) Who has been your biggest QRP influence? (Hard to answer. I'm going to hve to leave a lot of deserving folks out of this ;) Local friends (some SK now) and folks I've run QRP FD with in 'exotic' locations: K7RE in 2001 or so in a National Forest campground in NE WY (we took first place), and N0UR on his MN farm 2009 (class 2B2B which we also won). But I'd have to say Doc, K0EVZ who was my first motel-to-fixed station QSO (he was in ND, and I was vacationing in south TX). He was probably the one who interested me initially in the Fox Hunts and has been an online friend and advocate for the hunts for years. Current influences come mainly from my fellow online Fox Hunters with whom I keep in touch via e-mail and Facebook. That is real camaraderie! 5) What is your favorite QRP activity? No problem with this one: the Fox Hunts! But I also am quite competitive in other QRP contests: 160M, ARRL SS CW and Phone, QRP-ARCI, FYBO, state QSO parties. 6) What's your favorite piece of QRP gear (past or present)? My QRP K2 which I built in 2000. This said, I use my K3 now in the main unless I am portable when I use my K2. 7) Describe your current QRP station. K3 dialed down to 5W or less. I often put the Elecraft Step Attenuator inline to drop my output into the low milliwatt range if signals are strong. There's that challenge again! I still use the K2 in the field, and have the HW-8 at the ready. Good antennas are the key to doing well with QRP: all of mine are home-brewed or modified except for my Force 12 C-4SXL 40-10M beam up 70'. (four years ago, I dug the five foot hole by hand and concreted the first 20 feet of Rohn 25 tower, also by hand ... then had back surgery a year later, LOL!) I also have a 176' doublet hanging from below the beam that really does wonders on 80M, and a 52' high 'vertical tee' with 80 ground radials for 160M. It helps to have 2 acres out in the country where I have room and little noise. 8) What is your fondest QRP memory. Three stand out:I was leading a field trip of college students to the Gulf, and we were camped on Galveston Island, TX. I had arranged a sked on 15M with my daughter (N9IJY) who was in middle school at the time. She had the use of my home station in WI, while I had a 15M dipole up 10 feet, and my HW-8 powered by a motorcycle battery. We had a near-perfect CW contact for about 20 minutes! Second, K4BAI was a fox in last summer's 20M hunt, and the conditions were superlative. Using the Elecraft Step-attenuator, he and I hooked up with 500 microwatts of output! (the beam came in handy to say the least!). And third, I was able to complete a quick contact with Namibia (V5/DL3XX) this past winter with 5W on 160M CW just as the sun was rising on him. 9) What other hobbies/interests do you enjoy when you're not on the radio? Genealogy (I scan family photographs and documents), cycling, swimming, running-jogging-walking (I 'usta' run marathons and ultra-marathons which my disintegrating body make it impossible to do anymore! ), canoeing, camping, computer use, word games, being with my son and daughter and grand kids! Am active in a small church which is my family out here in the sticks of central WI. Enjoy traveling (son lives in OR, and my late wife's sisters and families live in OK, so I drive the 1,000 miles there quite often). I still attempt to keep up with my professional interests (I taught geography and earth sciences at a regional university) but am falling behind with all the new technology out there!. 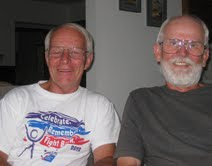 Here's a photo of two superlative QRPers - That's Todd N9NE on the left and Dave AB9CA on the right. Both are EXCELLENT Fox Hunters! Todd was also kind enough to send along a post he has sent to the QRP-L e-mail reflector from back in 2005. The thread (and I remember it well!) was about "Memories of Morse Code Examinations". I grew up in a small community in central Wisconsin. My father (SK) bought me a Knight Ocean Hopper regenerative receiver kit for Christmas, 1957 when I was 13. I had it together in a few days and was soon getting those beautiful QSL cards from Radio Moscow and Radio Habana Cuba. There was a little 'door' in the top of the receiver where one would change band coils. The valves were from England. I can still remember the smell of those hot little tubes. My across-the-street neighbor was a dentist, W9DPN. I had learned the code by rote in Boy Scouts, but Doc showed me his station and how he actually communicated on CW with his Viking Ranger, HQ-129X, and a trap vertical. Within a few weeks, I passed the novice exam and had to wait about 8 weeks (forever) to get my ticket, KN9LWV, on March 19, 1958. I then had to wait another two months before I could get the money together to buy a used Heath DX-20, sans meter! I recall stringing an 80 meter dipole and a 40 meter folded dipole above our small yard, between neighbors' trees. My 'TR switch' was a DPDT ceramic hand switch, and I 'tuned' the transmitter by placing a light bulb between the two center contacts of the switch while holding the key down, and dipping and loading for maximum brilliance. I was probably running QRP into the antennas for the remainder of 12 months then given to Novices. Using that Knight regenerative was a real education! Every time I would key the rig, the receiver would blank out and, of course, there was no side tone. I lost many contacts either by touching the front panel or by getting my hand too close to it, thereby changing the frequency. Later, my dad found out that a WWII veteran in town had a Hammarlund BC-779A 'Super Pro' receiver in his warehouse, and I was given it on permanent loan. Despite its musty smell, it served me well for several years before it died. By the time I had finished my Novice stint, I had earned the ARRL CW Proficiency Receiving award at 20 wpm. I never had a hand key. My grandfather had been a telegrapher on the "Soo Line' RR, and I inherited his 1928 Vibroplex bug. Within that year, I passed my conditional exam, and some years later (in the late 1960s), I took the Chicago and Northwestern passenger train (SK!) from downtown Oshkosh to within a few blocks of the Federal Building in downtown Chicago.The train was scheduled to get there by about noon, but due to some sort of problem, it arrived at 2 pm. I had studied for the Extra, and now had less than 3 hours to pass the CW and technical exams for the General, Advanced, and Extra. I got to the Extra with 20 minutes to spare ... passed the code, but had to rush the exam such that when 'The Man' corrected it, he stated in a loud voice "You fail!". I finally passed the Extra in Dallas in the early 1970s while a graduate student at the University of Oklahoma. My wife and I drove from Norman to the Federal Building there, and I took the code test in a small room. Receiving was no problem, but I hadn't touched a hand key much, and sending at 20 wpm was a real trial. The written exam was taken in a large room, filled with thirty or forty persons. The answers were coded onto an answer sheet (no written answers or schematics by then! ), and I took it to the glass-enclosed office where a young lady corrected it by hand. I was confident I had passed and was astounded to see her check one answer after another as incorrect with her red pencil! She looked at me and said "I'm sorry, but you failed." I was so upset and said 'what?' so loud that most of the heads in the examining room raised to see what the ruckus was! I told her that it was possible that I had failed, but not by that many questions. She re-examined my answer sheet, then sheepishly told me that she had just used the wrong exam master! The correct one exonerated me, and rest is history. I changed K9LWV to N9NE soon after that because it sounded nice on CW. If you 'Google' N9NE, you will find some real surprises!" Thanks, Todd for taking the time to answer my questions and for providing the extra history. This is the part of Ham Radio that I love the best - the personal histories and the stories - everyone has them! "Hams new to HF should never start out using QRP." "QRP is difficult, don't expect much success." And my favorite - "Never call CQ using QRP." In my personal and most humble opinion, these statements, if they are taken as absolute truisms or rules of thumb, are pretty much hogwash. But rather than refute these, or dwell on the negatives, I would like to accentuate the positives. If you're new to the QRP game or are perhaps thinking of dipping your toe into low power waters, you SHOULD do several things to maximize your chances for success. DO put up the best antenna that you can. A tower and beam are the best, if you have deep pockets and plenty of property and an understanding wife. If you're like the rest of us mere mortals, that will probably mean dipoles, verticals or whatever. If you can, put them outside and put them up as high as circumstances permit. If you install a ground mounted vertical (not a bad choice) lay down as many radials as you can. If you're stuck in HOA Hell, attic dipoles have yielded success. Magnetic loops, either home brewed or commercially built, such as the Alex Loop have saved the bacon of many covenant restricted Hams. But whatever the case may be, just remember a quote that my friend Chris KQ2RP recently reminded us all about in his blog. To quote K2TK, "A poor antenna has infinite gain over no antenna". In other words, while a better and higher antenna will maximize your QRP experience, ANY antenna is better than none. However, if you're reduced to loading up your mattress boxspring, then you had better lay in a supply of Advil. Do whatever you can to put up the best aerial you can under your circumstances. This is not the place to skimp. DO use the full "QRP Gallon", which is the full 5 Watts for CW or 10 Watts for SSB, if you're just starting out. While Rockmites and other flea powered radios do a great job, save QRPp for after you've gained some experience. QSOs made with less than a Watt ARE a heckuva lot of fun, but if you're a QRP Newbie, save them for later. DO make use of the various tools available to you. Reverse Beacon Network is one of these. Not only can you use RBN like a Cluster, to see who is on and who is calling CQ, but you can use it to gauge your own performance. Not getting any answers to your CQs? Check out your own call on RBN to see where and how you're being heard. You can also use RBN to compare one antenna against another. I did this to check out my vertical vs. my wire on 80 Meters one Autumn evening last year. I picked a lonely, deserted frequency and called CQ with one antenna for about five minutes, and then switched. By going to RBN, I was able to see how (roughly) how one did against the other. And while we're talking about calling CQ, go right ahead and call CQ if you want to. Odds are you will be heard by someone, somewhere, depending on propagation. Many times, when a band has seemed dead, I have called CQ and have been answered, and have had great QSOs. I see no reason on God's green Earth why calling CQ should be limited to those running power. DO jump into the DX pileups! This will give you experience, which will be your greatest teacher. Getting on the air, making QSOs, and experimenting with antennas, participating in the QRP Fox hunts will teach you more than any Website, book, or Elmer. Getting your hands dirty and learning "when to hold 'em and when to fold 'em" will make you a veteran QRP op in no time. But remember, then it will be YOUR time to share what you have learned with those who come after you. When I go out for these lunchtime QRP sessions, I never know what I am going to get. Sometimes the bands are smoking, and I'll work maybe three or four DX stations in my limited amount of time. Sometimes, it works out that I just work one station during my lunch break. That was the case today. Fortunately, it's been very rare that I get shut out. N5GW DE W2LJ TNX 72 DE W2LJ QRZ? But as I stated before, today we had an actual conversation - no QRP Sprint exchange .... for a change! 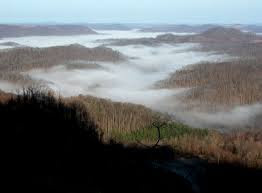 And this time, Gene was not in Mississippi, he was in Tennessee, on vacation on the Cumberland Plateau. Gene and his XYL are enjoying the mountains, and having a gold old time. Gene brought along his IC-7000 and strung up a wire antenna in an oak tree outside their cabin. Gene had a good 589 signal into New Jersey, and I got a 559/569 report in return. Gene had the good fortune of having a good antenna (even though it's temporary), and high elevation. That combination gave him a winning signal. It's always a delight to actually converse with guys that I've only held brief QSOs with. QRP is not just contesting and sprints. It's also very much getting to know the other guy, just like in the other niches of Amateur Radio. And this is the better part, because this is where the lasting friendships are made. I know that band conditions aren't the best. And I also know that this Sunspot Cycle 24 maximum, as compared to other sunspot cycle maximums has been kinda "meh". But you know what? I'm having fun despite the band conditions! You can sit around and pee and moan about "How this sure wasn't like the cycle we had back in '57 when you could work the world with a 1/2 Watt and a wet string! ", or you can get on the air and choose to operate. I choose the latter. Today was another successful lunchtime QRP session. The KX3 and Buddistick successfully netted S564EB, which is a special event station commemorating the European Basketball Championships in Slovenia. A little later, still on 17 Meters, I bagged IS0GQX, Bruno in Sardinia for that country on a new band. When the sunspot cycle does finally dwindle to weeks and months of little or zero spots, I'm sure that this "not so great" maximum is going to look mighty fine from the rear view mirror. As long as it lasts, I am going to keep at it. 5 Watts to a Buddistick plopped on top of my Jeep - every QSO amazes me! Now, to another matter. The period for submitting log entries for the Skeeter Hunt is entering the halfway mark. Next Sunday, August 25th at 11:59 PM EDT, is the absolute final deadline for log submissions. So far, I've received 55 log summaries. That's about 1/3 of the people who signed up for Skeeter numbers. In fact, I've received two log summaries from Non-Skeeters! So if you participated, please send me a log summary. If you submitted a log and you don't see your numbers next to your call, then I didn't get them. Please send them again! Soapbox comments and photos will appear after next Sunday. N0SS - who is also top multi op finisher so far. Top multi op, multi transmitter is WQ4RP (so far). Top SSB - a tie between KK4NWC and KC5FM. Hope to see your numbers soon! Today is a special day if you're of Polish descent, Catholic, and a Ham Radio operator. Today is the feast day of St. Maximilian Kolbe. For those of you who are not Catholic, a Saint's Feast Day commemorates the day that the faithful believe that the Saint left this earthly existence, directly heading to Heaven for his or her eternal reward. 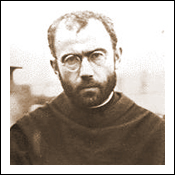 It was on August 14, 1941, that Father Maximilian Kolbe, a Franciscan friar died from an injection of carbolic acid. Fr. Kolbe was a detainee at Auschwitz, during WWII. He was sent there for the crime of providing shelter and safe harbor to over 2,000 Polish Jews in his friary at Niepokalanów. At the end of July 1941, three prisoners disappeared from Auschwitz, during what appeared to be a successful prison break. To retaliate, the deputy camp commander picked out 10 men at random to be starved to death. One of the chosen men, Franciszek Gajowniczek, cried out that he had a wife and children and begged for mercy. Fr. Kolbe heard this and asked, and was granted permission to take Gajowniczek's place. In the starvation bunker where the condemned men were being kept, Fr. Kolbe celebrated Mass each day and led the men in hymns and prayers. Two weeks later, after all the men had passed, Fr. Kolbe was the last condemned prisoner left alive. The Nazi's had other plans for that bunker, so to end it all, Fr. Kolbe was given the lethal injection. But during his lifetime here on earth, Fr. 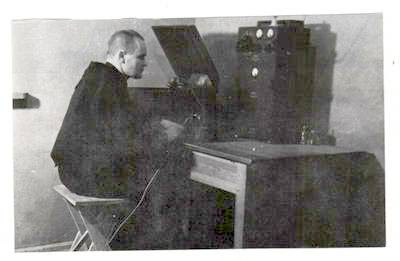 Max was unique among Saints, as he was an Amateur Radio operator. His call sign was SP3RN, and this might be the only photo in existence of him "at the key", so to speak. I had heard of Fr. Kolbe a lot during my younger years, being a student in a Catholic school that was part of the Polish Ethnic Parish that I grew up in, St. Mary of Ostrobrama in South River, NJ. It wasn't until after I became a Ham myself, that I was made aware of the radio connection. Fr. Kolbe was elevated to Sainthood by Pope John Paul II in 1982. He is the unofficial patron saint of Ham Radio operators everywhere. Saint-Max, módl się za nami! I was fighting a high ambient noise level tonight, while participating in the monthly NAQCC Sprint. Not as terrible as it was a few years ago, when 40 Meters was so bad that I had to abandon the 40 Meter Fox Hunts, but bad enough to be annoying. With the goofy damp weather we have been having, I think the local QRN was due more to atmospherics, than anything else. I'll have to see how the band conditions are over the next few days. In any event, I racked up 22 QSOs during the during the Sprint, almost evenly divided between 40 and 20 Meters. It ended up being 10 QSOs on 20 Meters and 12 on 40 Meters. Not my best effort, by any means, but not abysmal, either. I was happy to work Jim W1PID at the very end, but was disappointed that I was not able to get a QSO in with my two NJ buddies, Don W2JEK, or Charles W2SH. They were both sitting on frequencies, running mini pileups, and I could just not break through. Just goes to show you ..... sometimes you get the bear, and sometimes the bear gets you. WooHoo - a new one via QRP! Subtitle - It pays to know your prefixes! My lunchtime QRP session today looked like it was going to be no big deal. 15 Meters seemed to be dead as a doornail. I heard some activity on 20 Meters, but not much to write home about. So I popped on over to 17 Meters, where there seemed to be some activity. The first station that I heard and worked was EC7CW from Seville, Spain. After I nabbed him, I tuned around the band and heard a huge pileup. Lots of times when you hear a pileup, the station that is the quarry is very weak. Today that was not the case. The station that everyone was chasing was JW/LY2KW, and he was very loud. A quick look at the IARU prefix list told me that JW is Norway, but something didn't seem quite right. Such a huge pileup for Norway? Well, since the DX was loud, and I had time to kill, I figured, "Why not?" I figured out the split rather quickly, and this time, luck and the good ears of JW/LY2KW were on my side. After about a half dozen calls or so, the DX station came back to W2LJ. I always feel great when a DX station comes back to me, but it's even more special when I'm using the KX3 and Buddistick at lunchtime. And it's even better when that combination helps me bust a pileup. So I went back to work a very happy camper, knowing that I got Spain and Norway in the log. But as I was walking back in, I was wondering..... why the massive pileup? It's not like Norway is the rarest of the rare DX, after all. So I decided a Google search was in order. Unbeknownst to me, JW is indeed issued to Norway, but for Svalbard. Holy cow, this was a brandy new DXCC entity via QRP for me! I am constantly amazed by the performance of the Buddistick on the top of my Jeep. A compromise antenna for sure, but a compromise that I can seem to live with. Not much time, but loads of fun! So as I previously wrote, I did not get to spend a lot of time in the Skeeter Hunt today. But the time I did spend? Yowza! My first 45 minutes, before leaving for the soup kitchen yielded only five QSOs. I was a bit disappointed, thinking it was going to be one of those days. Then, the second session was night and day different from the first. I got home later than expected, and got on the air with only 25 minutes remaining. But I threw out my call on 40 Meters, and it was like dropping a baited line into a school of fish! QSO after QSO after QSO, with only a few CQs between each. I got a total of 11 QSOs in the last 20 minutes, for a total of 16 for the event. Makes me wonder how well I could have done if I had the full four hours. Participation seemed decent. Thank you to all of you who got on the air and made the contacts. I think the 2nd Annual Skeeter Hunt was a huge hit! Sign ups for Skeeter numbers went from 123 last year to 154 this year. Now, for the log summaries, photos and soapbox comments! You have 14 days, folks. I look forward to you filling up my Inbox! As you all know from my near constant and annoying yammering since last August, the 2013 NJQRP Skeeter Hunt is tomorrow. This is a huge event for me, and it gives me a lot of joy to not only operate in it, but to manage it as well. It is my sincere wish that all of you who have chosen to participate this year enjoy yourselves and have the best of times. 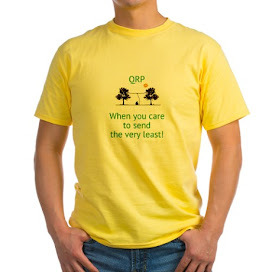 You folks are the life blood of the QRP hobby, and without all of you, this niche of Amateur Radio would not be thriving like it is - and thriving it is! Unfortunately, I will only be able to join with you all for a limited amount of time at the beginning and at the end of the contest. A few months ago, without paying attention to the date, I agreed to volunteer at the St. Mary's Soup Kitchen in Plainfield from 2:00 to 4:00 PM (the middle two hours of the hunt) tomorrow afternoon. When I discovered the conflict, I have to admit that my first reaction was the human one, I thought of trying to find a substitute, or possibly make an excuse and just back out all together. But as important as the Skeeter Hunt and Amateur Radio are to me (and they are VERY important!) some things are more important. The people that are served, who are down on their luck, depend on this facility for a decent meal. And even though my presence isn't mandatory for the kitchen to open or run, it wouldn't be right to blow off a commitment to people who are in need. Besides, the Amateur's Code reminds us that the Radio Amateur must be "Balanced - Radio is an avocation, never interfering with duties owed to family, job, school or community." In the end, I had to ask myself, "What's more important, my fellow man or my hobby?" I think you'd all agree with me as to the answer. Still, I can't begin to tell you how much I want to be on the air for the entire event, but this year, that's just not possible. So for as much as I can manage to squeeze in out of the first and final hours, Skeeter #13 will be in the basement shack, handing out as many contacts as possible. And believe me, I am going to squeeze in every possible last nano-second that I can, so keep your ears peeled for W2LJ. Now, with all that said and done, I have a huge favor to ask of all of you who are participating. Along with your log summaries and soapbox comments (and photos ... please, plenty of photos!) please let me know what changes if any, you would like to see for next year's Skeeter Hunt. We added SSB this year - digital modes, next year perhaps? Would you like to see that? Different time of the day, i.e. a later start? Anything that you would like to see modified will be taken under thoughtful consideration. For those of you who are not participating for one reason or another, but just might in the future, I'd be very happy to read your comments and suggestions, too. Just send an e-mail titled "Skeeter Hunt Suggestions" to either w2lj@arrl.net or w2ljqrp@gmail.com. Once again, thanks for participating and for making the NJQRP Skeeter Hunt the success that it is - signups for Skeeter numbers exceeded last year's requests! And a very special thanks to the NJQRP for sponsoring this event - with out them, this wouldn't be possible. 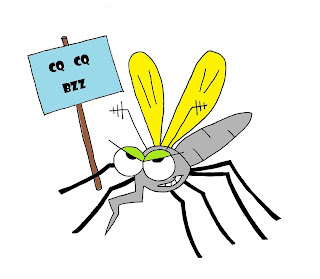 According to the "official" Skeeter Hunt rules, working any DX station during the hunt is worth 3 QSO points. This year, like last year, the Worked All Europe coincides with the Skeeter Hunt. So working DX is definitely possible. In fact, just going from memory (not consulting my log as I write this) I know that last year I worked at least one European station, and it might have been two. 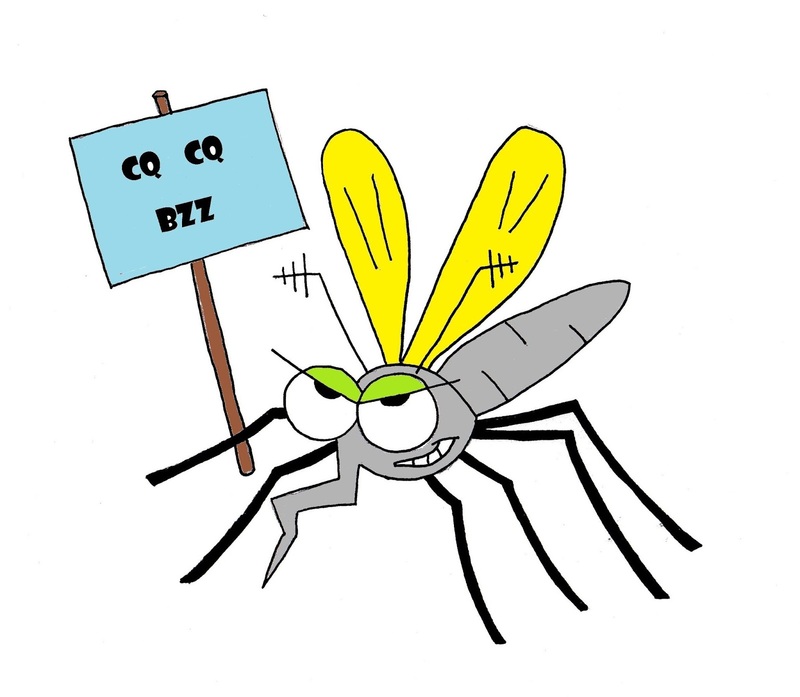 This year, we have an Amateur Radio op from South Africa who has requested and received a Skeeter number. Eddie ZS6BNE is Skeeter #114. Even though the Hunt occurs in his local evening time, he is going to go out, set up and try to make contact with as many of us as he can. To recognize his special effort, anyone who makes contact with Eddie can count that QSO for 4 points, instead of the traditional 3 points for normal DX QSOs (The rules have been amended to reflect this) Please make sure to listen for him at or near the QRP Watering Holes on 20 and 15 Meters. If propagation is with us, those bands will probably provide your best shot. I'd like to take this opportunity to thank Greg N4KGL, who talked up the Skeeter Hunt with the RApid Deployment Amateur Radio group (RADAR). It was via Greg's post that Eddie found out about the Skeeter Hunt. Also, a tip 'o the call sign cap to Pickett AD4S, who talked up the Skeeter Hunt on the NOGAQRP reflector. A special "thank you" to anyone who has talked up the event and spread the word via e-mail, word-of-mouth, smoke signals or whatever means. Your help is appreciated more than you will ever know! I guess it is working! My mag mount, I mean. After working on it on Sunday, I gave it the shakedown cruise yesterday and today at lunchtime. Unfortunately, the bands seemed to be in less than stellar condition - thanks Ol' Sol! But yesterday netted me a contact with XE1XR, David in Mexico and KG9HV, John in Indiana. Today, I heard even less on the bands. After perusing 15 and 17 Meters and not hearing much of anything, I decided to go to 20 Meters to see if I could hear any SOTA stations. Pfft! Nada in New Jersey. So then I made the decision to call CQ. I was answered by Burke N0HYD, who hails from Wichita, KS. Turns out that he's a reader of this blog and has started blogging himself. I have added his blog to the blogroll. His blog is entitled "N0HYD - QRP & Portable Exploits". Sounds like Burke is a man after my own heart! Burke describes himself as a "QRP Addict". How could I not add the blog to the blogroll when a guy describes himself like that? Anyway, it was a great but all too short QSO. I hope we have the chance to hook up again, soon. It was not only a 2X QRP QSO, but also a 2X KX3 QSO - thanks for the QSO, Burke, Oh, and by the way, your rig sounded superb! I have also done a little bit of blogroll maintenance tonight. Any blogs that haven't been updated within the last 12 months have been moved to the "Gone but not forgotten" area. That includes Chas, W5PG's blog. Gosh, it's just a little over a year now that Chas became a silent key. He was a good blogger friend, and even though he's gone, I just can't bring myself to delete his blog - so as long as it's on the Web, the link will remain. Just a reminder - this Sunday is the Skeeter hunt! Don't wait until the last second to get your Skeeter number. OK, the Bumble Bee has flown away; the Skeeter Hunt is just around the corner. Now it's time to start thinking about the Peanut Power Sprint. Sponsored by the North GA QRP Club (NoGaQrP), this sprint will be held on Sept. 29, 2013 from 4PM to 6PM EDT (Sept. 29 - 2000z to 2200z). Full rules are on the NoGaQrP website - nogaqrp.org Check Peanut Pete! The club is making this one different from most other QRP contests. 1. It is open to all amateurs at any power level. 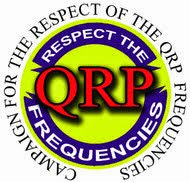 This is to attract some new folks to QRP while running their comfortable power - QRO is welcome and there is a category for that. This is a FUN event. Not cut-throat! 2. It is a short sprint lasting only two hours; not tying up the entire afternoon. Although brief, run reasonable CW speeds for all to copy. 3. It starts late in the day (right after close of TX QSO party!) which will mean those on the west coast will begin at 1PM PDT, later than most. 4. There are categories for all situations - the prestigious category is the Peanut Power category - 1w CW or less, 2W PEP SSB or less - operating from the field! This is the GOOBER CLASS! 5. Plaques will be award for 5 category winners (minimum 3 entries). 6. Sprint will allow SSB as well as CW contacts. 7. Multipliers count each band/each mode. 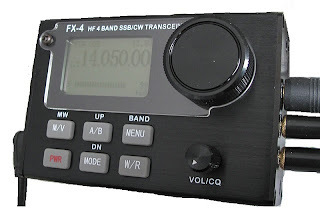 Work GA ( or any SPC) on 3 bands and 2 modes each = 6 multiplier. Puts emphasis on switching bands and modes during the event. 8. This will encourage activity on the 3 permitted bands - 40,20, and 15M. There are suggested frequencies for each band/mode. Notice we are encouraging the now almost dead part of 40M - 7060 khz and up. 9. Logs are not required - simply a score - however, category winners will be asked to submit their logs for verification. 10. Work stations holding a Peanut Power Number (PPN) for 7 points. Stations worked who do not hold a PPN yield 3 points. Yes, QRO stations can request and receive a PPN. You do not declare your category until you send in your entry. To request a PPN, send an email to NoGaNuT JiM at w4qo@... Numbers over 120 may NOT be requested. See the current list via the website. Include the word PEANUT in the title please. 73 and may the best PeAnUt win! Thanks Jim and thank you NoGAnauts for sponsoring this! Yours truly is Peanut # 70. I guess it works - but not the best design! I had a little more trouble when I went to the Jeep on Friday for my lunchtime QRP session. I just wasn't hearing anything! I know the bands can get that way, but the past few days had been relatively decent. Like any other Ham Radio operator, my mind immediately went to "There's something wrong with the radio!" As I disconnected the coax from the KX3, I noticed that the radio's BNC post turned a little bit as I removed the coax fitting. I knew that by itself wasn't the problem, but I didn't like the fact that it was a tad loose. I broke out the tools and did some field surgery on my KX3 right in the back of the Jeep! I felt like Hawkeye Pierce, BJ Hunnicut or Trapper John from MASH. I opened the KX3, removed the auto tuner board, and with a pair of needle nose pliers, I snugged up the nut that holds the BNC post against the inside housing of the radio. Then I put everything back together and turned the radio back on ..... still nothing. I just recently replaced the PL259, so I twiddled that around, thinking that perhaps I didn't do as good an installation as I had thought. Nope, no difference - that wasn't the problem either. So even though I had taken the magmount assembly apart the previous night, I decided to look again there - a mistake on my part there? Once again, all was good there. But I did notice that as I twirled the cable around, I was getting signals to appear, disappear and then re-appear. A break in the coax cable! So I brought the magmount back in the house once again. I decided that I was going to take it apart, cut back about 8 inches of coax and then put it all back together. In the process of taking everything apart again, I just happened to pull on the center conductor of the cable and a six inch piece came out with my fingers. It had indeed broken, back in the main part of the cable, and my plan to cut it back by a foot and reassemble turned out to be a good plan. But I have to tell you, after working on this, I'm not really impressed with the design of this magmount. I hope you can figure out what I'm trying to describe. The coax goes into a plastic housing. This plastic housing is roughly the diameter of a quarter and is maybe a 1/4 inch thick. Each half has a hole. The shield of the coax (which has been pigtailed) goes through the bottom hole, while the center conductor (which is kind of flimsy) goes through the upper hole. There are channels or depressions on each side for the wire to sit. The is the order in which it all goes back together - from the bottom working towards the top. 2) Plastic insulator, so that the through bolt does not touch the magmount body (ground). 4) Coax housing with the braid sandwiched down, between the coax housing and the magmount body. 5) Metal washer. The center conductor lays in a channel and is pointing up, to be sandwiched between the coax housing and the washer. 5) Threaded hex sleeve for the radiator. Everything is held in place by the holding pressure created by screwing the through bolt into the threaded hex sleeve! The center conductor is NOT soldered or otherwise electrically connected to the metal washer underneath the threaded hex sleeve, as I had previously thought. And as I noted before, the braid is simply sandwiched between the plastic coax sleeve and the magmount body. I made sure all metal surfaces were clean and shiny and used plenty of Deoxit to help ensure good electrical contact (there really are no true connections!) as best possible. It seems to me that it would have been better for the coax to be soldered or otherwise connected to the metal sleeve and the magmount body other than just using physical contact and screw pressure to hold everything together. But then I suppose that would have increased the cost of the product significantly. In the near future,I think I am going to upgrade the quality of the coax, too. One day, I was thinking about how much I like to read about my fellow Amateur Radio operators. I love it when they tell stories about how they became Hams and how they first learned about Amateur Radio, what they're doing now, and what their other interests are. It simply fascinates me. 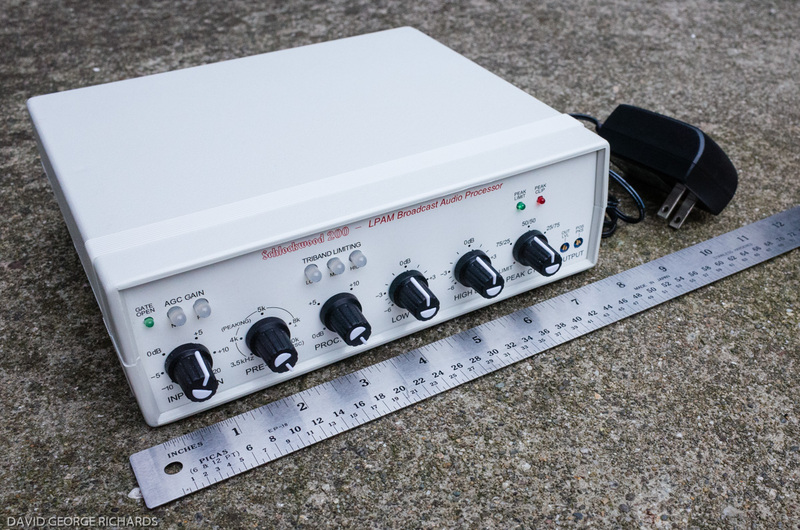 I decided to develop a series of blog posts titled "Profiles in QRP". 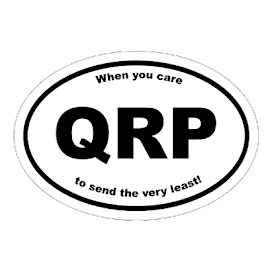 A series of questions will be posed to those who have shown interest and dedication to the QRP game. In the coming months, some of the profiles published will be of QRPers you are probably very familiar with - some maybe not so. The idea is to ask these questions across an entire cross section of QRPers - portable operators, contesters, rag chewers, tinkerers, inventors, entrepreneurs, (maybe even bloggers! ), etc. I had intended to kick this series off last month, but I was delayed in doing so. My intention is to run one profile a month. For August, I will run two profiles - one at the beginning of the month and one at the end. The first profile is of Ken Louks WA8REI. If you're on the air at all, you've probably run into Ken numerous times. He is active in a lot of the QRP Sprints and is always to be found, ready and eager for a rag chew. Ken is also very active in the Polar Bears QRP group - a bunch of QRPers dedicated to portable outdoor ops away from the conventional shack. There he is most affectionately known as Blackjack Bear. It's always a great pleasure to run into Ken, whether it be a short sprint QSO or a longer one where you can gnaw on a piece of "sammin" with him. 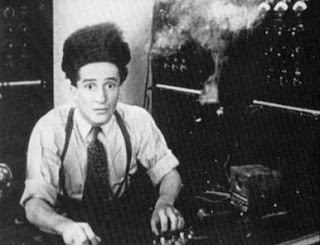 My first exposure to Amateur Radio was through my Uncle Ed Wissmiller, formerly 8CEH, who resided in Saginaw, Michigan. He helped me learn the code when I was 12 years old. He had let his ticket expire years before I was born, but he was quite the guy! He was a WW I pilot, and later, a stunt pilot and a wing walker. In fact, he invented the remote water meter reader, so he had quite the technical bent. He was a printer by trade, and had several printing presses in his basement. Also, my dad had given me a Heathkit CR-1 Crystal Receiver when I was 10 years old, in 1957. I still have it, and it works like new! My dad always encouraged me to learn about many things. I sent and received Morse Code via light to and from another neighborhood kid. I was also inspired by several other Hams who all lived within 2 or 3 miles from me - "bicycle range". I was both a Cub Scout and a Boy Scout. Since June, 1965. My Novice station was a Knightkit T-150 transmitter and a Heathkit HR-10 receiver, both of which I built as new kits. I had a Heath HW-100 Transceiver, which I always tuned up at minimum power. One day, I forgot to increase my power after tuning up, and following a long, solid QSO, calculated that my output power was 4 Watts. I'd operate QRP a few times a year in the '90's. Always liking a challenge, I became a serious QRP Op in about 2000. Nobody in particular! I had no QRP Elmers. With the advent of the Internet, I've found many like-minded Hams throughout the world and many QRP clubs, so I'd have to give credit to the Internet for being my main influence. Again, the challenge of working other stations at 5 Watts or even milliWatts is a thrill that kW QRO Ops will never experience! Contesting. It keeps my CW skills honed, and it shows me how well my antennas are performing. This can be a major contest or a QRP Sprint; either are enjoyable. I like the competition, but I'm never a sore loser! My Yaesu FT-817ND. My first QRP rig was its predecessor, the FT-817. It's a great all band, all mode rig, and it's very portable. FT-817, Hustler 4BTV Vertical, 80 M Dipole, Bencher Paddle (I'm 100% CW), LDG Z100 Autotuner at my camping trailer in the woods near Rhodes, MI - "Permanent Portable" Hi! At home, a FT-2000 at 5 Watts and a Mosley Pro 67B Yagi at 48 feet. I also have a DC40B, built by my friend WD9F that puts out about 700 milliWatts on 40 Meters. It's a fun rig! That would be working 3B9C, Rodriguez Island in the Indian Ocean, through a MASSIVE pileup while I was on Wagon Wheel Hill, elevation 1,500 feet back in the Winter of 2006. My 2nd best was working Tanzania from near Dayton Hamvention, using 2.5 Watts. 9) What other hobbies/interests do you enjoy when your not on the radio? I was a professional organist/pianist from the age of 16 until I had a stroke in 2008. I taught private piano lessons for many years. I play the hammered dulcimer. Ham Radio has always played "second fiddle" to my music. I have a grand piano in my living room, 4 electronic keyboard and a professional recording studio. I have hiked 1,500 miles in 2007, bicycled 60 miles per day. I enjoy traveling, especially to the mountains of New Hampshire or Colorado. I could live outdoors if not for the bugs and weather! Thank you Ken - for being my first victim ...... err, QRP Profile! You are indeed a very brave soul! 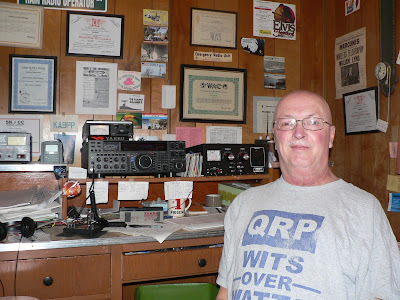 Seriously - a very hearty "Thank You" to Ken for sharing his Amateur Radio and QRP background with us. As I stated before, I hope to have a profile for you every month. Ken was supposed to have been the profile for July 2013. There will be another at the end of the month for August. So ....... if you see an e-mail from me in your Inbox titled, "Profiles in QRP", please don't run, screaming into the night. It will be a request for us to get the opportunity to know one of our fellow QRPers just a little bit better!